Posted November 28, 2013 by Triana O'Keefe & filed under City News. 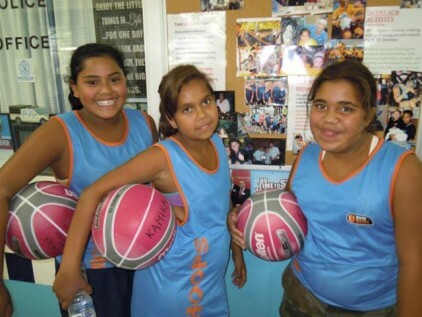 The Glebe PCYC will receive a $4880 grant from the City of Sydney for its Indigenous Talented Athletes Program. The program aims to encourage young people with disadvantaged backgrounds to participate in a regular structured basketball sporting competition. In association with Glebe police, the PCYC will run the weekly program for both boys and girls in primary school. Particular encouragement is directed at the kids and families within the local housing commissions to provide them with an opportunity they would not normally be afforded. Youth case manager and Senior Constable Sam Donni said he has witnessed the benefits of such programs. “It gives these kids something to look forward to and teaches by demonstration the importance of structure and discipline,” Mr Donni said. In September, the federal government released the Mentoring programs for Indigenous youth at risk study. The study found there is a range of risk factors that may make young people of indigenous background more likely to engage in anti-social behaviour. These factors include “the young person’s own attitudes; relationships within the family; and growing up in communities where there is widespread violence, alcohol and other substance abuse, poverty, poor health and poor quality housing”. “What we do is provide them with a supporting environment that nurtures their talent through positive reinforcement,” Mr Donni said. The program is being assisted by two older Glebe girls Cassie Bush and Kelera Rabuatoka, who encourage the younger kids to participate and lead by example. The grant will allow Glebe PCYC to purchase equipment including balls and shoes for kids who can not afford to buy their own. The money will also go towards providing food and purchasing tickets to the Sydney Kings basketball games.